Increasing electricity generation from renewable sources is widely acknowledged as the most effective way of reducing Ireland’s greenhouse gas emissions resulting from power generation. The Government has established ambitious national targets for the contribution of renewable sources to power generation including that 40% of electricity consumed will be from renewable sources by 2020, including a target of obtaining at least 500MW from wave and tidal energy by 2020. The Offshore Renewable Energy Development Plan (OREDP) confirms that Ireland has the worlds premier wave resource as well as a notable tidal resource with the Shannon Estuary confirmed as being among the top three potential tidal energy sources in the country. The Government Integrated Marine Plan for Ireland ‘Harnessing Our Ocean Wealth’ (HOOW) estimates that the national asset that is the ocean could support a diverse marine economy with vast potential to tap into a €1.2 billion global marine market across a wide range of sectors. The recently established Marine Development Team, a Government initiated taskforce focused on maximising marine growth opportunities together with development agencies with a marine interest, Enterprise Ireland, the IMDO and the IDA Ireland are working together to achieve targets for the development of the sector set out in nosubhealth.com HOOW. In 2010, the marine sector accounted for €1.2 billion or 0.8% of GDP and employed approximately 16,300 people. The vision of HOOW is to expand the Irish Ocean Economy to a value of 2.4% of GDP by 2030. The Shannon Estuary is strategically placed to exploit this potential with the SIFP providing it with a distinct advantage to other locations in Ireland and across Europe. It is recognised that the development of tidal energy in the Estuary will have technological, logistical and environmental issues to address. The analysis carried out in preparation of the SIFP confirms that there is significant potential for development of the tidal energy resource in the Shannon Estuary. 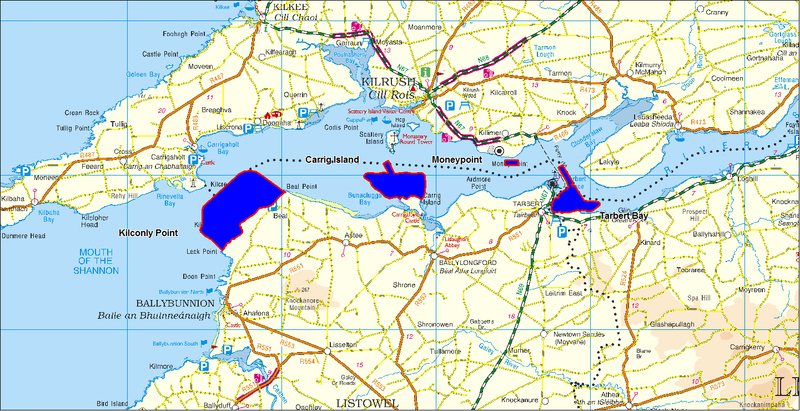 The tidal nature and geographical shape of the Shannon has created tidal flows on a commercially viable scale. The SEAI Report ‘Tidal & Current Energy Resources in Ireland’ identified four areas within the Estuary deemed to be of best potential. These four areas were subsequently acknowledged in the framework plan for the estuary as Areas of Opportunity for Renewable Energy. The SIFP contains a specific objective in relation to Research and Development (SIFP RD 1.1) which seeks to explore the potential sustainable development and promotion of the Shannon Estuary as a centre of excellence in research and development of renewable energy technologies. In addition, SIFP objective RE 1.8 looks to support and facilitate the sustainable development of renewable energy developments within and along the Shannon Estuary, in supporting Ireland’s legally binding obligations under EU Directives. Lastly, objective RE 1.9 looks to explore the potential of tidal energy as a viable renewable energy resource within the estuary. The recently published National Planning Framework – Project Ireland 2040 also provides support for testing, research, manufacturing, storage, assembly and deployment of marine energy devices and other technological devices within the Shannon Estuary through its inclusion under the Offshore Renewable Energy Section of the Plan as a specific case study.